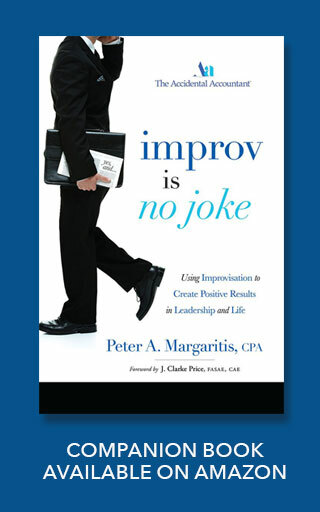 Welcome to the Improv Is No Joke podcast hosted by Peter Margaritis, AKA The Accidental Accountant and author of the book 'Improve Is No Joke, Using Improvization to Create Positive Results in Leadership and Life'. This podcast series is also available on iTunes, Google Play and Stitcher. Watch any good screwball/slap-stick comedy and confusion is most likely at the heart of the plot. Take the classic film, “What’s Up Doc” – based on an even older comedic film, Bringing Up Baby – where a socially inept, yet intelligent, man encounters a strange woman who has devoted her life to confusing and embarrassing him and everyone around them. After a number of ridiculous events, the entire cast of characters ends up in front of a judge where they try to explain the mess of events. Watch the hilarious scene here. Flight Control: Flight 209 you’re clear for takeoff. FC: LA departure frequency 123.9. FC: Flight 209 clear for vector 324. Clarence Oveur: Roger, Roger, what’s our vector, victor? FC: Now we’re in radio clearance, over. Clarence Oveur: That’s Clarence Oveur, over. All of these films portray some of the greatest comedic sequences based around confusion. And while it’s definitely exaggerated, this overwhelming feeling of frustration felt by the characters is not an uncommon feeling in the workplace. At that point, I ask everyone to unfold their sheet of paper, and I walk around the room examining them. Whether I have a crowd of 20 or 100, I rarely find any two alike. Like real snowflakes, each is unique. They couldn’t possibly be the same, my directions were general and not specific enough – I didn’t explain which direction to fold or how much to tear off or how big a bite to chew, so those “directions” were up for interpretation. This is such a common experience in the workplace. Perhaps you’ve had employees that have done something that bore little resemblance to what you expected. 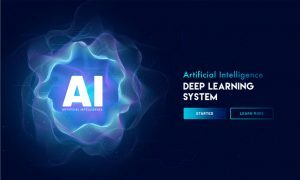 What they heard wasn’t what you had requested—and that might well have been because you didn’t take the extra minute or two to give them detailed instructions and make sure they completely understood. You didn’t explain yourself, and you didn’t let them question you. Confusion is often the result of a lack of clear direction. This can leave everyone involved feeling frustrated or upset – with the employees not understanding what they did wrong. Stress levels increase. You wonder whether the employees have a clue, and the employees see you as ineffective. Office morale plummets. That’s the root of a lot of workplace tension – it happens all the time. Poor communication leads to increased stress. It comes from not understanding what someone is saying, from not knowing what they want, and from not giving sufficient directions. The solution? Better communication. How? Make sure everyone is using the same terminology and understands what those terms really mean. 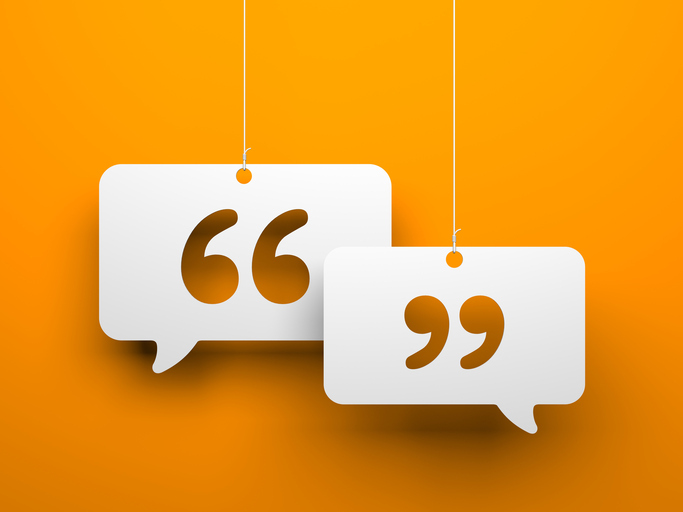 Cut out buzzwords that don’t clearly state what you really want to say. Have an open rapport with your employees where people are comfortable asking questions and making comments about projects. Do your best to practice the listening skills that I’ve touched on before here. Doing so will allow you to not only respond to your team’s concerns and questions, but you’ll be able to listen by seeing through their body language whether they’re confident or confused. Being an effective professional takes effective communication skills. Learn more tips by visiting www.improvisnojoke.com where you can download a free chapter of my book, Improv is No Joke. 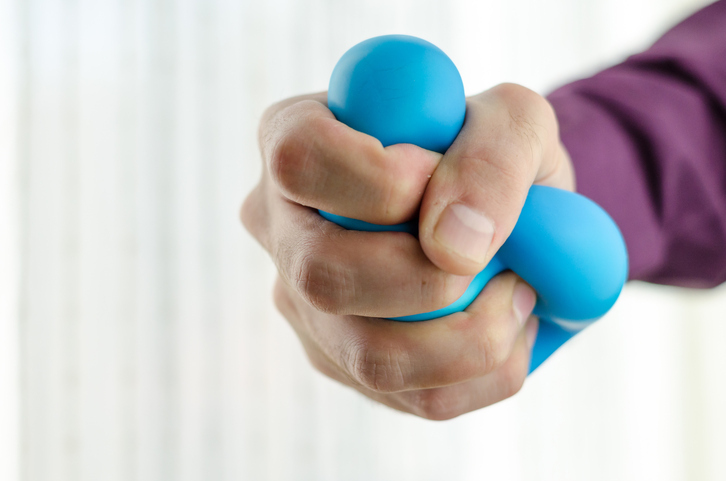 Stress is a part of our everyday lives – it can come from so many sources, some of them the daily frustrations of life including our jobs, others from unexpected challenges, such as major health issues. The thing is, stress isn’t always bad – it can motivate us into action. And even in those situations that might initially seem like the negative kind of stress, you have the power to turn it into something positive. With this perspective, stress can have value in your life if you deal with it in the right way. Communication – Communication skills go far in reducing stress. When people feel disrespected or discounted, stress intensifies. When they feel unheard, they shut down, or they respond with cynicism, distrust, or anger—and the situation becomes exponentially worse. Effective communication however, can validate and motivate. 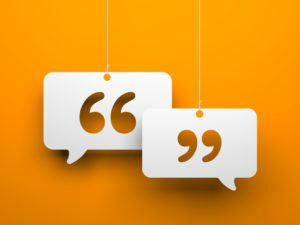 You can read about the importance of listening with both your eyes and ears – since listening is a critical part of successful communication. Awareness – Being aware of your environment can help you take control of your involvement in whatever situation you are in. When you assess your surroundings – those around you, the actual location, yourself – that awareness will help you be able to deal with a situation, which will develop confidence and help you overcome the stress. Adaptability – Adaptability is a HUGE part of improv – it IS improv. A lot of things in life can be stressful, but we have the ability to “go with the flow.” Adapting is simply the ability to readjust as you experience things – whether that be readjust your sales pitch, or the time in the morning you give a presentation or having to select a different menu item when your first choice is sold out. 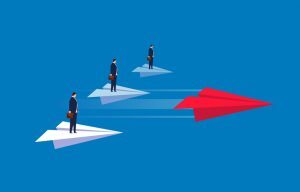 No matter the situation, it takes flexibility and confidence to address change head-on – and let’s face it, things are always changing, things rarely go as planned. Learning to adapt dramatically reduces stress. Read more about the game I give audiences to exercise adaptability, here. Calm in Chaos – “Don’t panic.” If you ever hear someone say that, it’s almost a trigger to go again and start panicking. You don’t have to though – it certainly won’t help you. When you’re staring chaos in the face, you must refuse to tell yourself that you can’t do it/overcome it/face it. 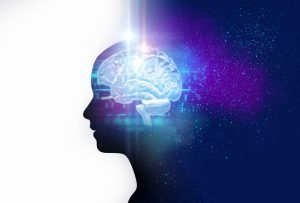 The fact is, you can – and awareness, adaptability, communication, all the improvisational techniques, help you operate clearly without panicking. You’ll always know you can figure a way out. Attitude – There is a huge difference between “I will do the best I can” and “This is going to fail.” If you adopt a better attitude, one that doesn’t broadcast defeat, you might actually find that you are doing pretty well – this is the same with doing improv. No matter the source of your stress, your success to overcome depends on your ability to perceive things positively. You either can see your situation as a challenge and make the most of it, or you can succumb to it and let the stress win. Humor – A regular dose of laughter reduces stress – it’s proven! Laughter really is the best medicine. It loosens us up, it bolsters the immune system. On the other hand, being stressed can get us sick; as a result, we make others sick and productivity plummets. Laughter is the proven antidote, and it comes naturally when the company culture is conducive to it. A bit of levity can go a long way in the welfare of the individual and the business. Learn more about how to leverage this improve principles to improve your career by visiting www.improvisnojoke.com. 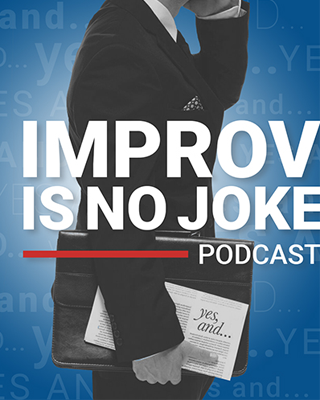 While you’re there, download a free chapter of my book, Improv is No Joke.